I am thankful for giving opportunity to have satsang in our place. 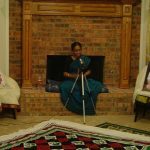 We enjoyed hearing about Nama Mahatmiyam discourse given by Kum.Poornima Kumarasami. 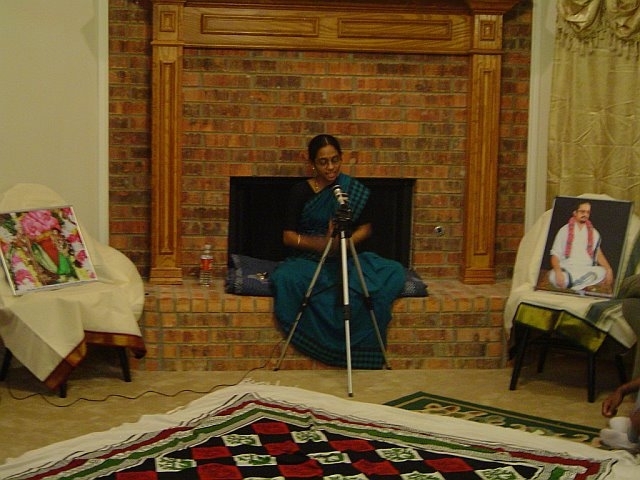 In Dallas, 3 days satsang was presented by Ms.Poornima Kumarasami. 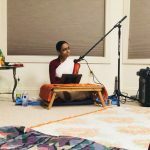 First and Second day she explained the importance of Nama and the third day she explained the greatness of Satsang and the essence of Ramayana stressing on the importance of Naama all the way. 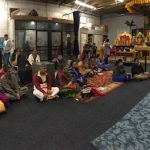 It was really very nice to have a satsang like this. About 30 people attended the discourse in complete attention. 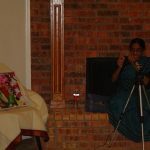 Poornimaji clarified the intermittent doubts of all the devotees with simple and lucid examples. 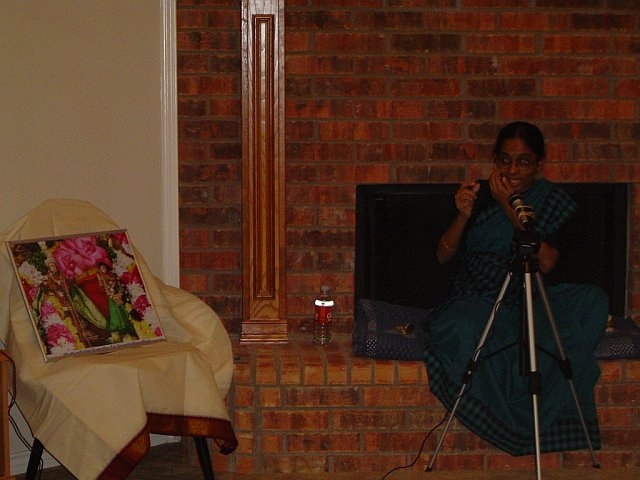 The audience was captivated by her narration skill and depth of knowledge in Srimath Bhagavatam. Everyone was completely bound by the power of the “Maha Mantra” and they promised to chant the Mantra daily. Almost instantly many were seen requesting to hold the next satsang at their place. 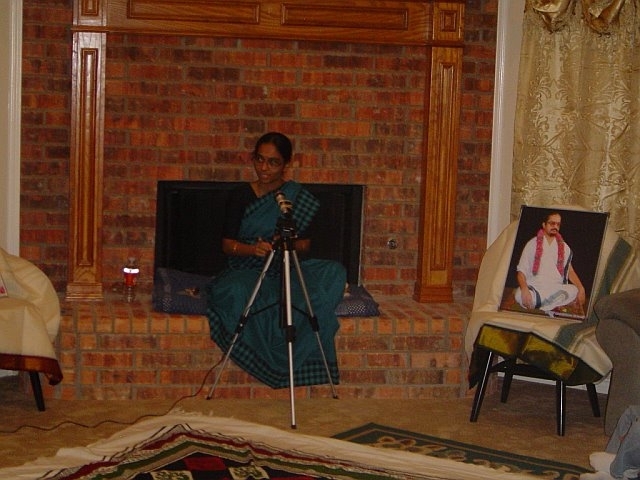 Poornimaji said that the best and easiest way to pray is to chant the Name of God. 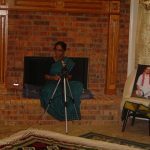 She emphasized that chanting of the Mahamantra would lead us to salvation and also help everyone to fare well in life. 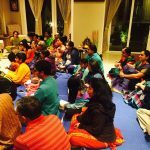 The Satsang strengthened our enthusiasm for chanting Nama. 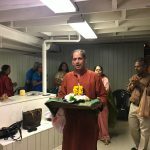 One of the devotees expressed that on the auspicious day of Kartigai Deepam, while one lights house with lamps, he should also light his mind with Nama. 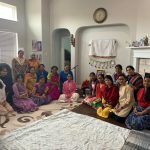 The promise of a 11 year old girl to have her friends and relatives chant Nama showed how a tender heart grasps valuable things quickly.